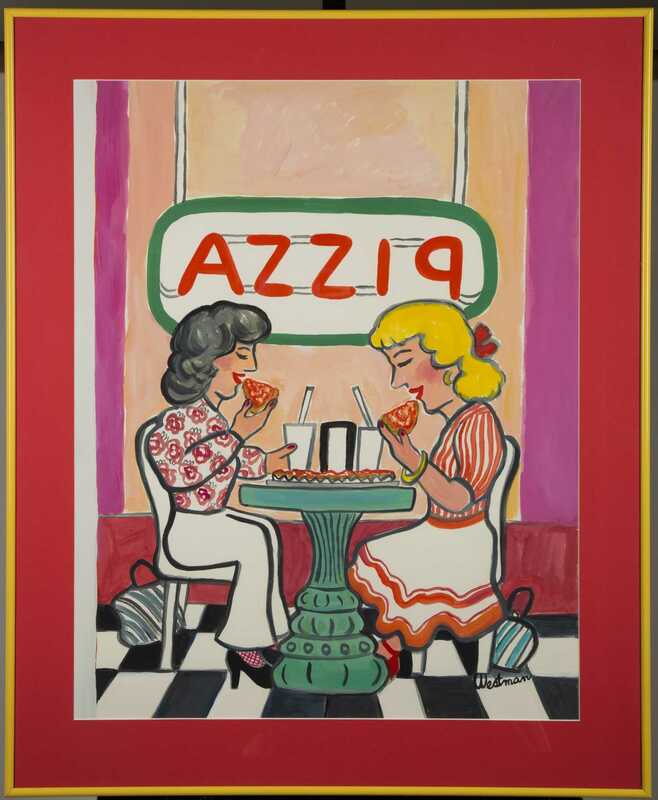 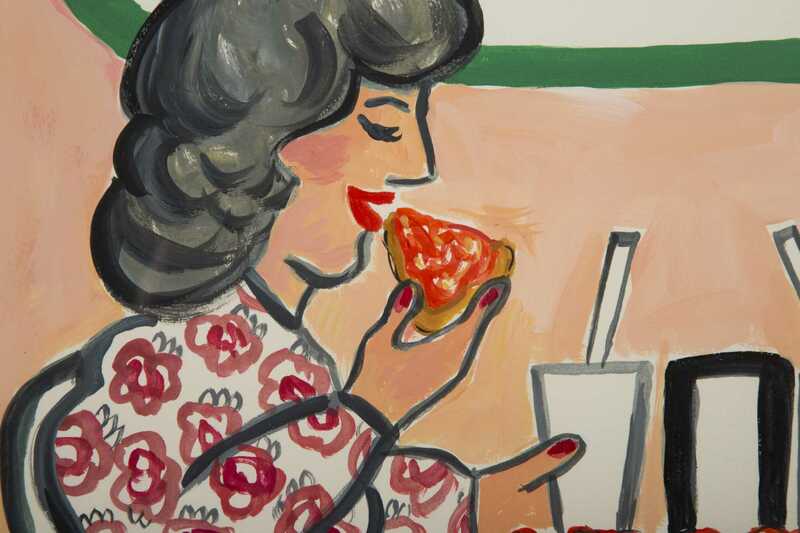 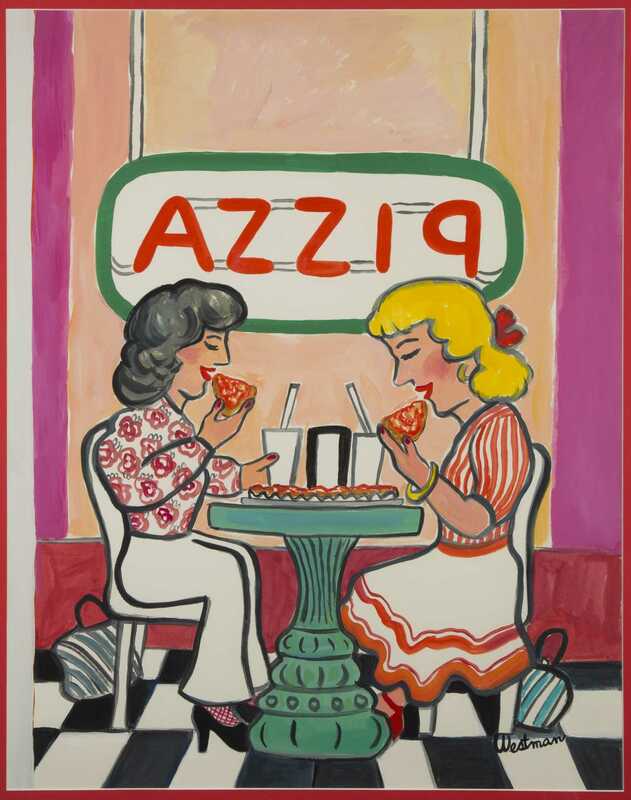 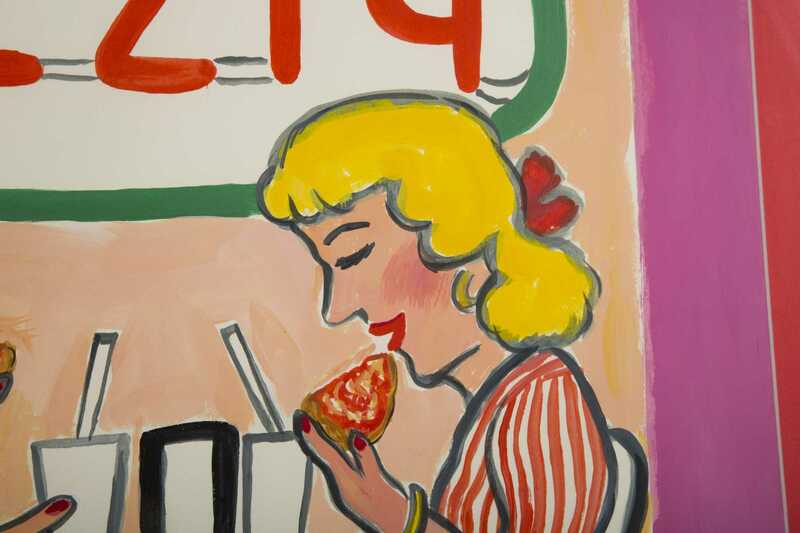 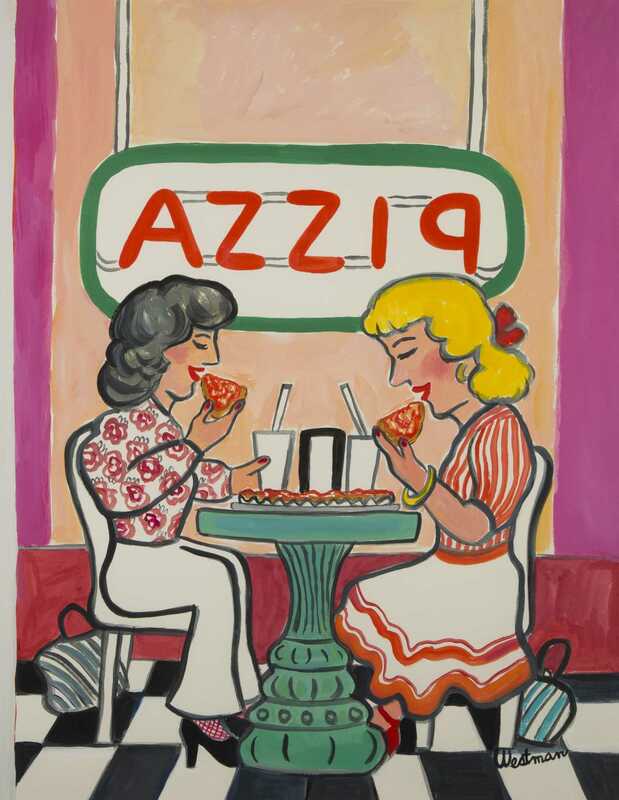 Barbara Westman, American (Born 1929), "AZZIP", original painting on paper for the July 13, 1987 cover of The New Yorker, depicting two women in a pizza parlor sharing a pizza pie, neon sign in window reads pizza backwards, 20 1/2" x 26" sight, framed in modern yellow frame with red mat, signed lower right "Westman". 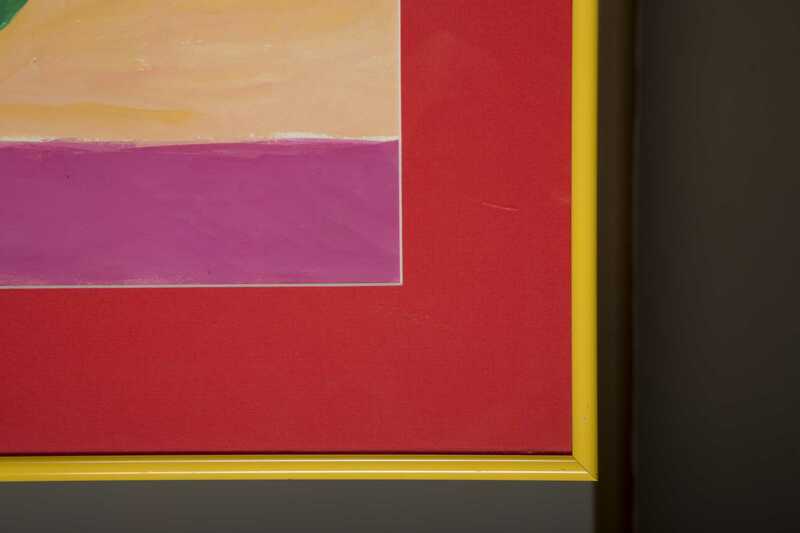 Slight differences between this original piece and the printed cover so could possibly be the artists proof or study. 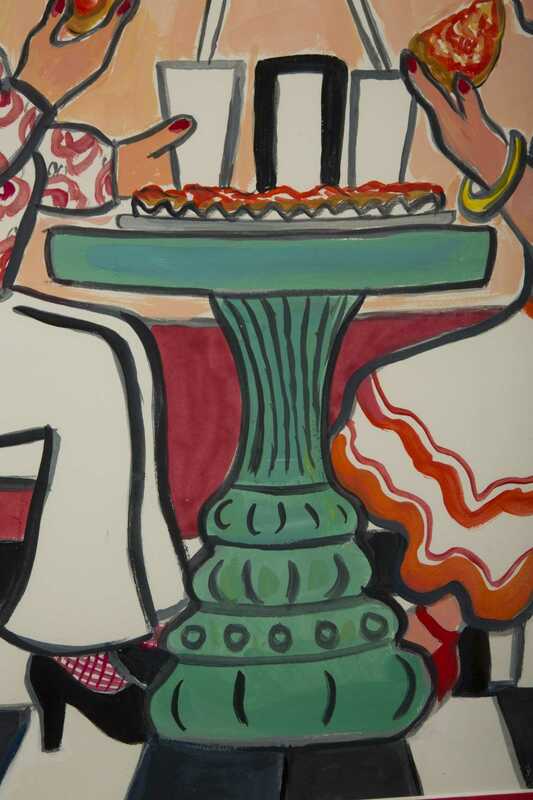 Barbara Westman is New York and Boston artist who is a well known author, illustrator, and freelance cover artist for New Yorker Magazine among other honors. 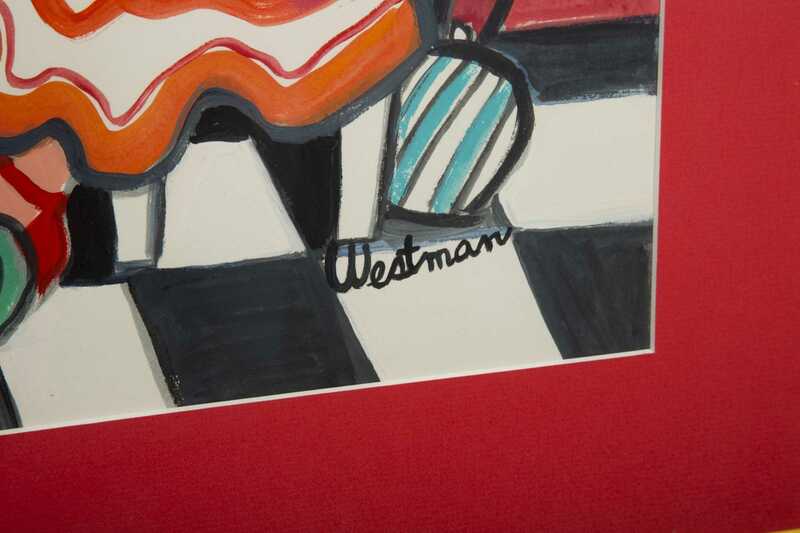 Westman was a close friend to the consignor of the estate and gifted her many original artworks and prints of her illustrations.